Home Blog Should You Consider Elder Care if Your Parent Moves in With You? In your role as a family caregiver one of the most pressing decisions that you might encounter is whether you should transition your elderly parent into living in the home with you and your family. There are many situations that might lead you to considering this change. Your parent might live at a distance from you, which could make getting to them as often as you would like to challenging. They might have a sudden increase in needs or a new diagnosis that you know will require additional care and support, and want to be able to be there for them as much as possible. Their current home might have layout challenges and features that make it less accessible and safe according to your parent’s limitations. They might be on a fixed income and looking for ways to manage their finances more effectively. Whatever the reason for making this change, if your elderly parent is going to be moving in with you soon, it might also be time to think about the possibility of elder care. It might seem that if your parent is going to be living with you it is only logical that you will be giving them the care and support that they need. While this might be true to an extent, it is not necessarily the only option. Bringing an elderly home care services provider into your care arrangement with your aging parent at this point can be exceptionally beneficial not just for your parent, but for you as well. • Helping your parent adjust. This transition can be challenging for your aging parent and it is important that you make it as smooth for them as possible. You do not want for them to suffer undue stress or not benefit from the care plans you have made for them because of the difficulty of the change in their life. A care provider can help them to make this transition more confidently and ease into the lifestyle of this new chapter in their life. 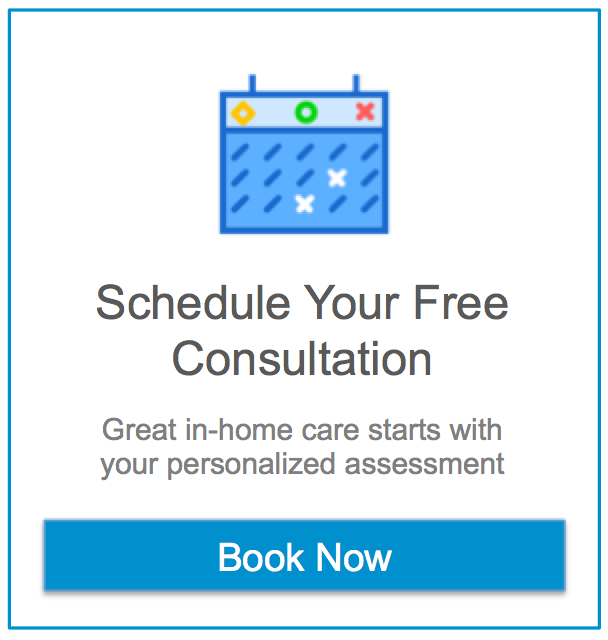 • Filling your care gaps. Simply because your elderly parent has come to live with you does not mean that you are going to be able to devote all of your time to them, or that any care limitations that you had before they moved in are not still there. A care provider can come in and ensure that these care gaps are filled so that you are still able to focus your energy and attention on other aspects of your life while feeling confident that your parent is getting everything they need. • Offer companionship. Transitioning into your home with your family can be emotionally challenging for your senior. They might have left a home where they lived for decades or where they shared their life with their partner who is no longer alive. They might be leaving neighbors with whom they had a friendship or other features of their community that they love. The companionship of an elder care provider can help your parent to cope with this and relieve stress, anxiety, and loneliness that they might feel. If you or an aging loved one are considering elder care in Sun City/West, AZ, contact the caring staff at Assisting Hands Home Care at (480) 725-7002. Previous post Tips for Being an Effective Long-Distance Caregiver Next post What Information Do You Need from Your Loved One’s Doctor about Exercise?